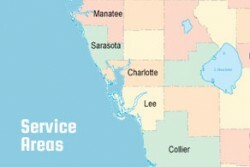 Are you located on the island of Captiva, Florida and in need of quality fire equipment or service? If so, ABC Fire Equipment is here to assess and service all of your needs. ABC Fire Equipment offers a full range of products and services to Captiva Island. We are committed to helpful and responsive customer service and knowledgeable and dependable support, to assist with any service.